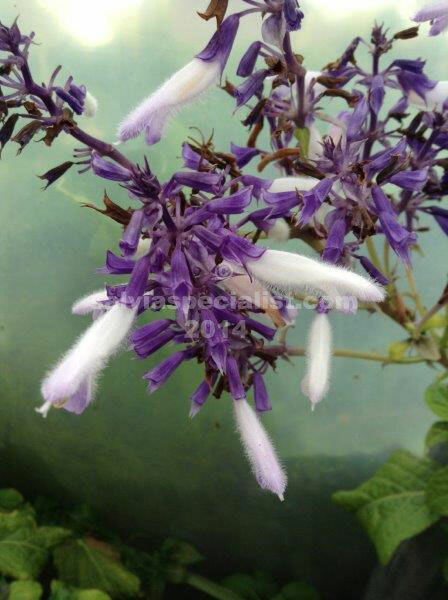 This Mexican salvia is in Australia but it is illegal to sell it. It has a reputation of hallucination effects. I don’t know anyone dealing with divinorum in Australia so it is no use asking me for it. I have only seen it in flower in California. It needs sub tropical conditions to grow well. The white flower in a mauve calyx is pretty but the plant is a bit ordinary with leaves the texture of coleus.